In the previous article, we discussed briefly on the topic of “Scales in Surveying” where we came across an important term “Representative factor” which forms an important part in understanding the scales in Surveying. Plain Scale is one on which it is possible to measure two dimensions only. 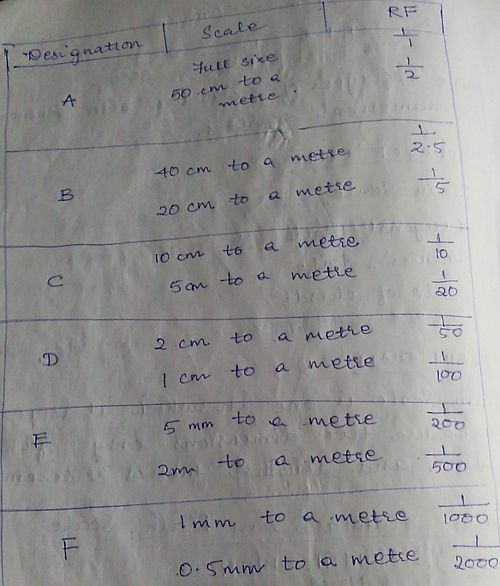 For example, measurements such as units and lengths, metres and decimetres etc. Six different plain scales in metric used by engineers, Architects and Surveyors. On diagonal scale, it is possible to measure three dimensions such as metres, decimetres and centimetres, units , tens and hundreds; yards, feet and inches etc. A short length is divided into number of parts using the principle of similar triangle in which sides are proportional. A device used for measuring the fractional part of one of the smallest divisions of a graduated scale. It usually consists of a small auxiliary scale which slides alongside of the main scale. Least count of the vernier = the difference between smallest division on the main division and smallest division on the vernier scale. 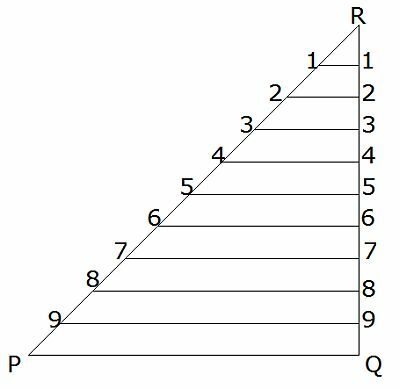 Scale of chords is used to measure an angle and is marked on either on rectangular protractor or an ordinary box wood scale. 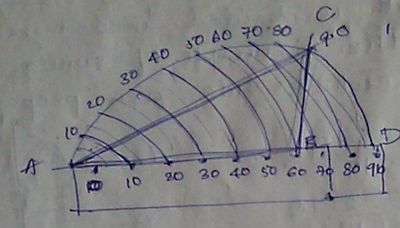 calculations of angular measurements used in surveying, scles used in surveying andmethods of fixing a point.how chain and geodetic surveying done. lastly to measure and survey over the river.